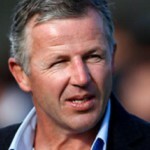 This year’s dinner, held on Saturday November 14th featured Sean Fitzpatrick of the New Zealand All Blacks. The evening was a great success and we succeeded in raising £2000 for the Movember charity for Men’s health. Read the full report here. Following the dinner we will be holding an Extraordinary General Meeting of SAOBA, to make some necessary changes to our original 1996 Constitution, in order to create the new role of Life President. This EGM will be held on 3rd December 2015 at 7pm in Hale. As a member of SAOBA you are entitled to attend this EGM. Please please let us know if you would like to do so, by emailing us and we will supply further details. Also, we are always looking out for potential new committee members to support our work for SAOBA. If you are interested in joining the SAOBA Committee, a role which can be both rewarding and a lot of fun, again please get in touch. Following John Kennedy’s resignation at the 2014 Dinner, Kieran Charleson also resigned from his position as Vice Chairman. Adam Mitcheson replaced Mr Charleson as Vice Chairman. Following a unanimous vote, Adam Mitcheson shall be the Committee Chairman from the 2015 Dinner, with Paul Howarth stepping into the Vice Chairman position. The Committee would like to wish the new appointments the best for the future, and thank Mr Kennedy and Mr Charleson for their service to the Association.